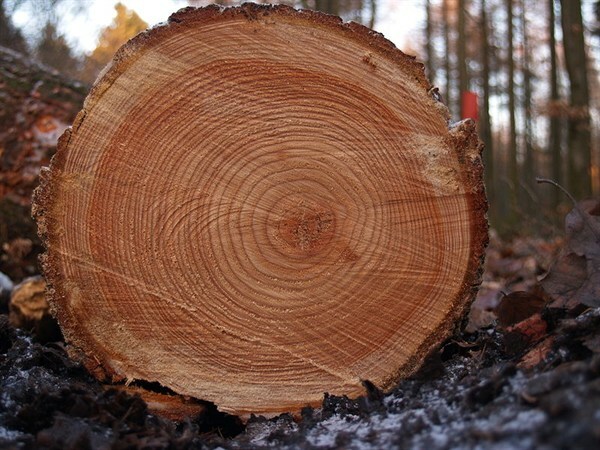 Researchers studied tree ring data from over 1,300 sites and found that drought can reduce the ability of trees to absorb carbon dioxide by as much as four years. According to a study recently published in Science magazine, trees affected by drought are not as efficient in taking carbon dioxide out of the atmosphere, which may play a role in accelerated climate change. The findings could have significant climate implications because trees take up less carbon both during and after drought. A team of researchers the University of Utah and Princeton University, studied tree ring data and found that drought can reduce the ability of trees to absorb carbon dioxide by as much as four years. The study measured the recovery of tree stem growth following droughts dating back to 1948 in more than 1,300 forests worldwide. On average, tree growth was 9 percent slower than normal during the first year following a drought and 5 percent slower in the following year. The study suggests that water stress effects photosynthesis and reduces tree’s ability to store carbon over a much longer period than previously thought. Forests act as carbon sinks by absorbing carbon dioxide from the atmosphere and storing it in woody roots and stems. Trees are particularly vulnerable to changes in climate because they are immobile and their generation times are quite long. A reduction in carbon storage may exacerbate problems, as accelerated climate change damages more trees, further contributing to more change. As climate change affects forests, trees may store less carbon dioxide and begin to lose more carbon than they take up, becoming a carbon source. The study also highlighted a flaw in current climate models that could help improve data and assumptions about the ability of forests to sequester carbon. While it has been accepted that trees may take many years to recover from drought, the amount of carbon sequestration was often underestimated in many sophisticated large-scale models. When models don’t account for tree’s response to drought, the results over-predict carbon sequestration ability of trees. This interesting research offers continuing insight between the interaction between people, trees and our climate.